Major corporations can save millions with simple energy efficiency tweaks–if they know where to look. That’s where this group of MBA students can help. Major corporations can save millions of dollars with simple energy efficiency tweaks–if they know where to look. That’s where the Environmental Defense Fund’s Climate Corps program can help. 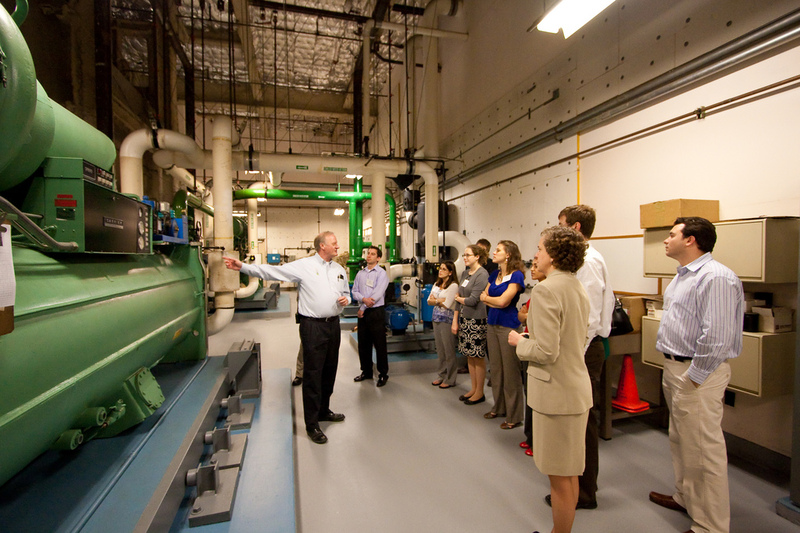 The three year-old program plays host to 51 MBA students that are sent to 47 corporations to dig up energy savings. This year’s group found $350 million in net operational cost savings at companies including Bloomberg, eBay, McDonald’s, Pepsi, Target, Verizon, and Xerox. So how did they do it? emissions each year if it installed sensors that would turn lights off when no one was standing in certain non-essential stations at the company’s 775 U.S. restaurants. At Bloomberg, a fellow calculated the energy and cost savings for a number of potential computer power management and lighting projects. She discovered that by replacing old computers, upgrading operating systems to Windows 7, and upgrading lighting, eBay could save $1.5 million, 6,996,549 kWh of electricity each year, and 4,857 metric tons of CO2. If you needed a reason to get excited about the next generation of MBAs, this may well be it.